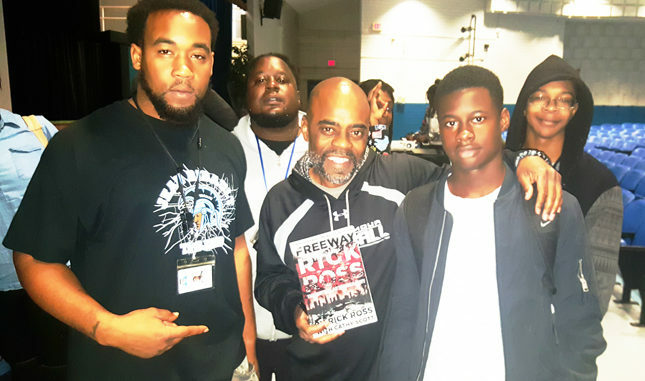 American author and convicted drug trafficker best known for the drug empire he established in Los Angeles, California, in the early to mid 1980s was in Jacksonville promoting his book Freeway Rick Ross: The Untold Autobiography. Ross’s tour stop in Jacksonville included speaking to students at area high schools, barber shops and café roundtables. 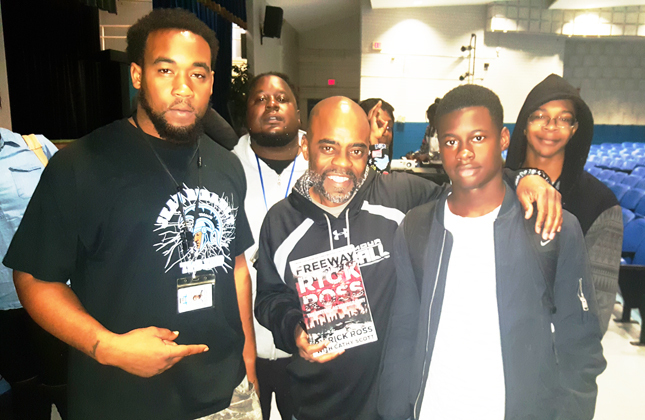 His first stop locally was Ribault High School where 100 students gathered in the auditorium to hear Ross discuss his life, prison sentence and next steps for the future. Rick stood on stage at the assembly and shared his years as a drug kingpin and the life that led to the demise of his criminal career. Ross also informed students that the “school to prison” pipeline really exists, and he dropped out of school after the loss of a tennis scholarship due to his illiteracy. 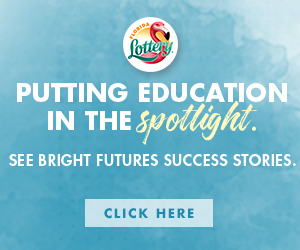 After being sentenced to a life in prison sentence, Ross eventually earned his GED and learned to read at the age of age 28. He was finally released on a shortened on appeal in 2009. With thousands of employees, Ross has said he operated drug sales not only in Los Angeles but in places across the country including St. Louis, New Orleans, Texas, Kansa City, Oklahoma, Indiana, Cincinnati, North Carolina, South Carolina, Baltimore, Cleveland and Seattle. The nickname Freeway came from Ross owning properties along the Los Angeles Harbor Freeway and living next to Interstate I-10. According to the October 2013 Esquire article, “Between 1982 and 1989, federal prosecutors estimated, Ross bought and resold several metric tons of cocaine. In 1980 dollars, his gross earnings were said to be in excess of $900 million – with a profit of nearly $300 million. Converted roughly to present-day dollars: 2.5 billion gross and $850 million in profit. Ross’s capture was aided by his main cocaine source, drug lord Oscar Danilo Blandon , who set him up. Blandon was government’s link between the CIA and Contras during the Iran-Contra affair. Gary Webb interviewed Ross several times before breaking the story in 1996. Ross claims that the reason he was unfairly tried was because of his involvement in the scandal. Blandón received a 24-month sentence for his drug trafficking charges, and following his release, was hired by the Drug Enforcement Administration where he was salaried at US$42,000. The INS granted Blandón a green card, despite the criminal convictions, to allow him to work for the DEA. In 2016, the documentary Freeway Crack in The System was nominated for an Emmy for Outstanding Investigative Journalism: Long Form, built around the definitive story of the cocaine epidemic, war on drugs, and resulting Contra Scandal. “I’m on a mission to tell the world my story, the real story in hopes that I can reach someone that’s headed down the wrong path. My drug life affected my family, children and friends. And to inform young people today that ‘the real Rick Ross is not a rapper,” said Ross. Rick is shown with teacher Ribault High teacher Tremayne Edwards and student Jason Tucker.